The Sisters of the Holy Family of Nazareth are pleased to announce our new provincial leadership team-elect. The new leadership team will serve for the next six years. They will be installed in their new positions on August 5, 2018. 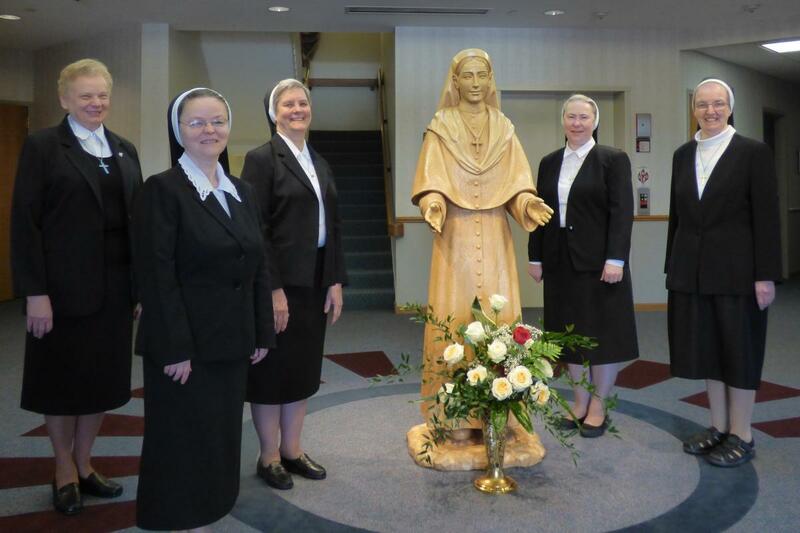 Sr. Kathleen Maciej was chosen as the provincial superior-elect. She entered the Sisters of the Holy Family of Nazareth in 1973 and currently serves as principal at St. Adalbert Catholic Academy in Elmhurst, NY. Sr. Michele Collins, assistant provincial superior/councilor-elect, entered the community in 1959. Her current ministries include executive director of Nazareth Global Missions and assistant executive director of the Nazareth Family Foundation. Sr. Michele lives in Altoona, PA.
Sr. Mary Ellen Gemmell, provincial secretary/councilor-elect, entered the community in 1970. She currently serves as an adjunct Spanish instructor at Holy Family University in Philadelphia and a Spanish teacher at St Katherine of Siena School, also in Philadelphia. Sr. Maria Magdalena Rybak, councilor-elect, entered the Sisters of the Holy Family of Nazareth in 1995. She currently ministers as a charge nurse in the intensive care unit at AMITA Holy Family Medical Center in Des Plaines, IL. Sr. Teresa Mika, the current provincial treasurer, was elected to serve another term as treasurer. She entered the community in 1985. Please pray for our new leadership team and our province as we are called by God to travel forward together on our journey to spread the Kingdom of His Love.